You know it’s Easter when the bunny brings out the Chocolate and Peanut Butter Candy Easter Eggs. They make everyone happy, and they’re easy to make, too! If you love peanut butter and chocolate, then these fun candy Easter egg treats are for you! They’re fast and easy to make and oh so delicious. 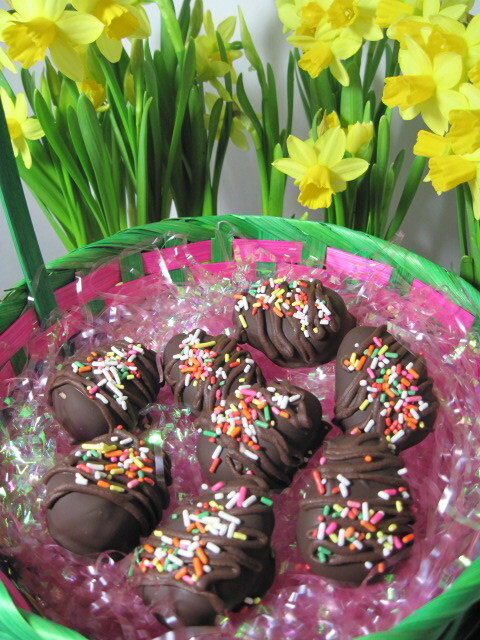 Homemade Chocolate and Peanut Butter Candy Easter Eggs far surpass the store-bought candy in taste and they will surely delight your family and friends. Try them for yourself and see what I mean. I promise they’ll be a giant hit at your Easter table or in those Springtime seasonal Easter baskets! 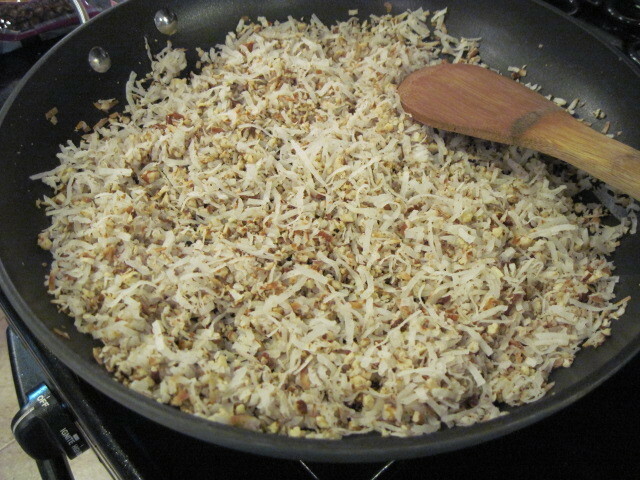 -In a dry skillet over medium-low heat, toast the coconut and chopped pecans slightly to intensify their flavor. Watch them carefully and stir them occasionally so they do not burn. 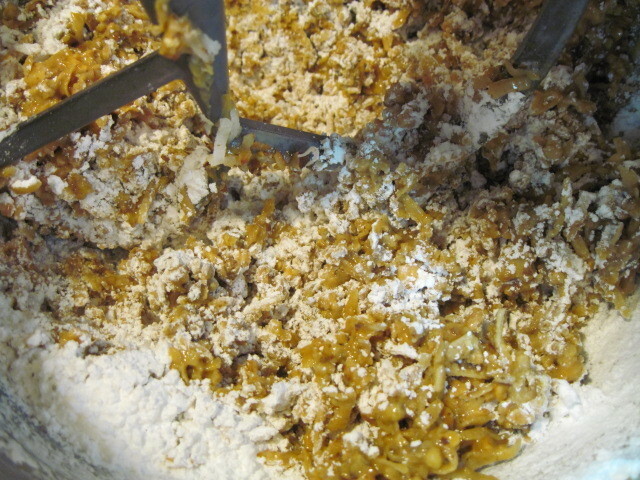 -In a mixing bowl, cream the peanut butter and butter until well mixed. Fold in the coconut, nuts, 1 cup of the powdered sugar and vanilla; mix well. -Sprinkle some of the remaining powdered sugar on a board and knead in enough of the remaining sugar until the mixture holds its shape when formed. -Shape tablespoon size balls into egg-shaped pieces. 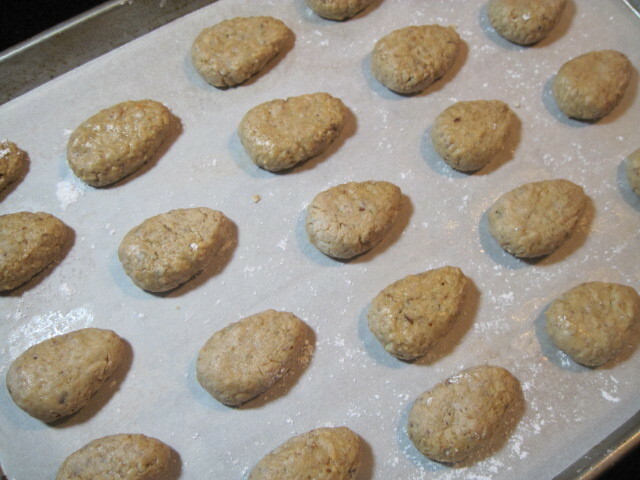 -Cover and freeze for about 30 minutes. -In a microwave carefully melt the chocolate and shortening, stirring until smooth. 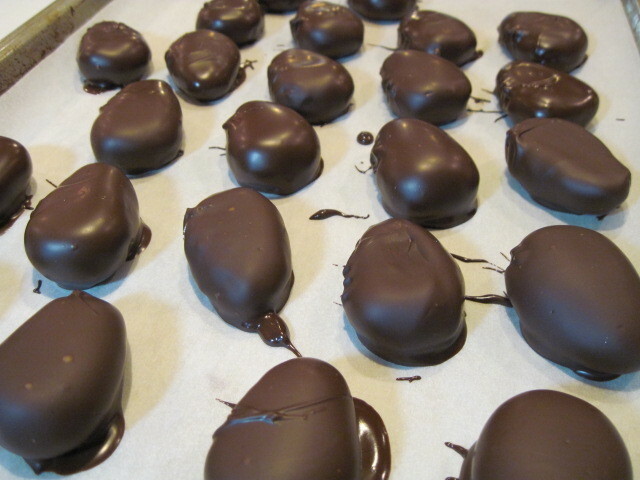 -Using a fork, dip the egg pieces in chocolate and place them one by one onto a parchment lined baking sheet. 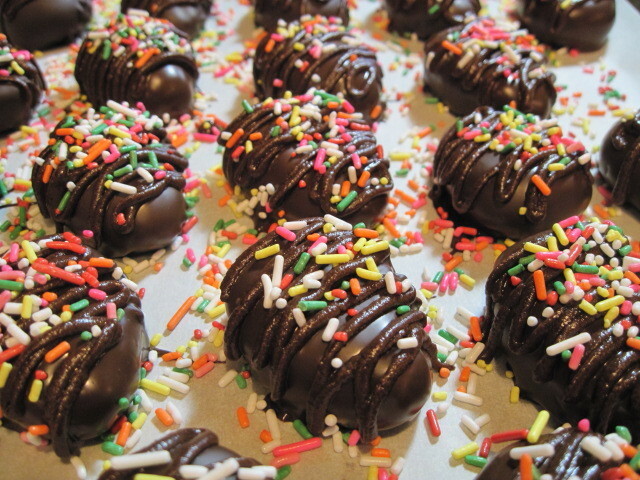 -Use whatever melted chocolate you have left to drizzle over the tops of the eggs and add your multicolored sprinkles before the chocolate hardens. -Chill or freeze until ready to serve. 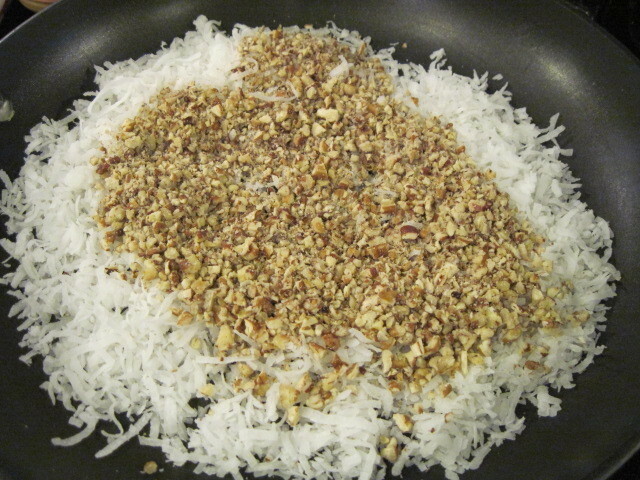 In a dry skillet over medium-low heat, toast the coconut and chopped pecans slightly to intensify their flavor. Watch them carefully and stir them occasionally so they do not burn. 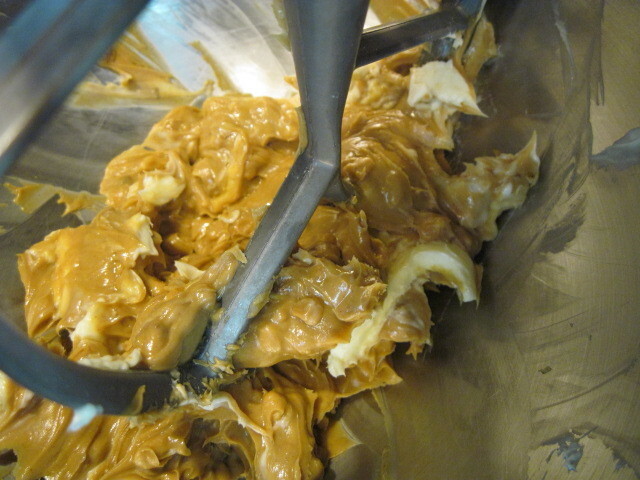 In a mixing bowl, cream the peanut butter and butter until well mixed. Fold in the coconut, nuts, 1 cup of the powdered sugar and vanilla; mix well. Sprinkle some of the remaining powdered sugar on a board and knead in enough of the remaining sugar until the mixture holds its shape when formed. Shape tablespoon size balls into egg-shaped pieces. Cover and freeze for about 30 minutes. 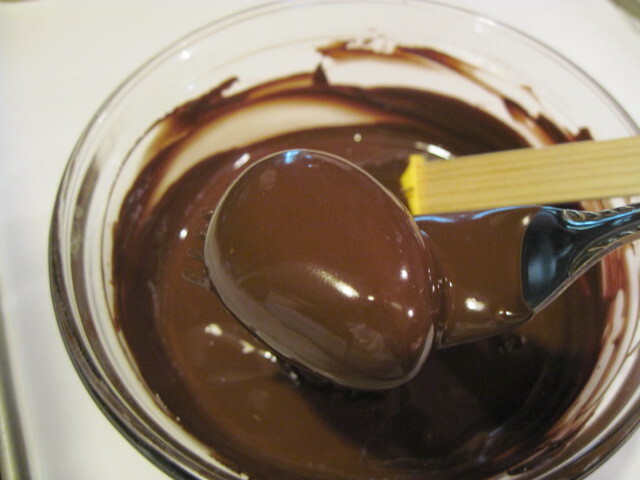 In a microwave carefully melt the chocolate and shortening, stirring until smooth. Using a fork, dip the egg pieces in chocolate and place them one by one onto a parchment lined baking sheet. Use whatever melted chocolate you have left to drizzle over the tops of the eggs and add your multicolored sprinkles before the chocolate hardens. Chill or freeze until ready to serve. So then, you’d better hop to it and make these right away. I’ll bet that some bunny will be glad you did! For more chocolate and peanut butter treats, please check out my recipe for Giant Peanut Butter Cup with Toasted Coconut and Pecans! Oh, my gosh, Renee! I am a Reese's girl, so I have GOT to make these! You shaped them so perfectly and they look gorgeous! Whoever's Easter Basket that is – is one lucky person! I want these like you can't even imagine, Renee! But 3 out of my 4 kids don't like nuts or coconut. So that would leave me and one kid to eat them all. Maybe I could make a smaller batch? Yes, I could! Look at you making your own Easter treats…wait are you the Easter bunny? I wonder, could you make these without the coconut (my mom LOVES chocolate and PB together, but she hates coconut)? Sure, you can make any sort of changes you like to the recipe. 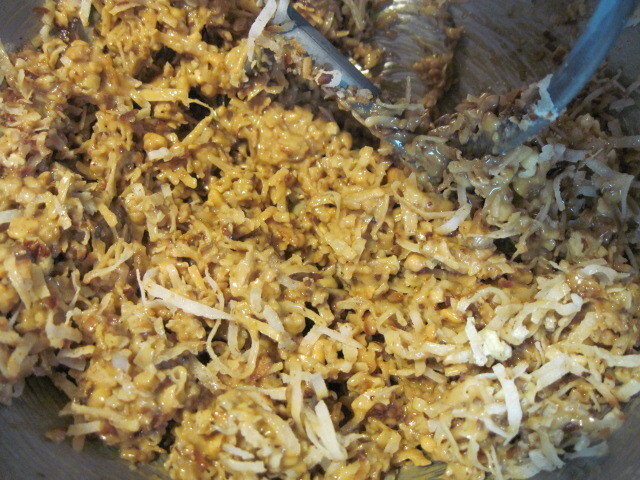 Omit the coconut and maybe add some raisins or mini marshmallows if you like. Or just omit the coconut all together and add a bit more powdered sugar. There are no rules, just fun in the kitchen! Play with what you like and leave out what you don't. Thanks for your question. I hope this helps. What a great treat Renee! Good to see you back in your kitchen. You sure picked a sweet delight as your first post! Such pretty eggs. I want a basket full. Happy Easter! I know it's not Easter anymore (I'm WAY behind on blog reading) but I need a huge batch of these please!!! Fantastici!! Domani li faccio! Complimenti! !